The snowboarder who snatched victory from the Alpine skiers. The “hangry” 17-year-old on a run to a near-perfect score. 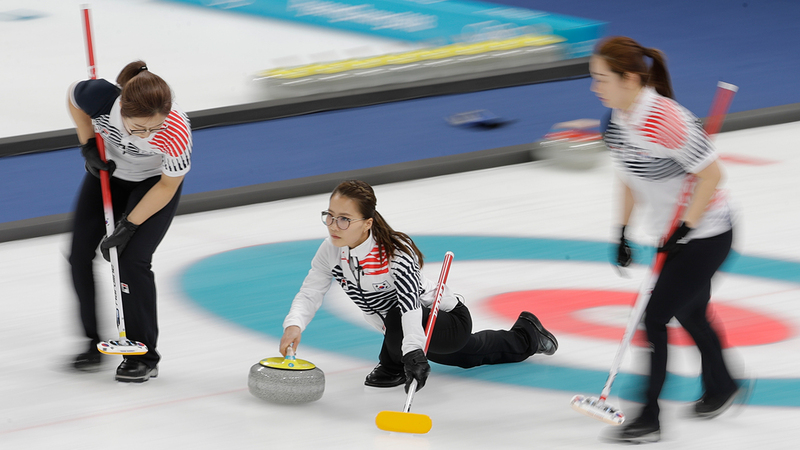 The intense skip of the Korea’s women’s curling team. A new wave of breakout stars introduced themselves to the world at the 2018 Olympic Winter Games. Here’s a look at some of the athletes who shined. When it felt like Team USA might never reach the top of a podium in Pyeongchang, one of the youngest U.S. Olympians delivered. On the second day of the Games, 17-year-old Red Gerard took home gold in men’s snowboard slopestyle after pulling off a third, and final, run that put him in first place with a score of 87.16. He had to sit back and watch other contenders try to top him, but when it was all said and done Gerard came out on top. The teenager also competed in the snowboard big air event and finished fifth. Teenage phenomenon Chloe Kim was “hangry,” as in: “Wish I finished my breakfast sandwich but my stubborn self decided not to and now I’m getting hangry.” That’s what the 17-year-old American making her Olympic debut tweeted midway through the women’s snowboarding halfpipe final. On her last run, her victory already assured, the youngest woman ever to medal in snowboarding scored a near-perfect 98.25. Ranked eighth in the world entering the Olympics, South Korea’s women’s curling team surprised everyone by winning the silver medal. The team, nicknamed the "Garlic Girls" for the garlic grown in their hometown of Uiseong, consists of skip Kim Eun-jung and teammates Kim Kyeong-ae, Kim Seon-yeong and Kim Yeong-mi. The four also have breakfast-themed monikers for each other: Pancake, Steak, Annie (a brand of yogurt) and Sunny (after sunny-side up eggs). Their underdog status and fan-friendly nicknames helped make these athletes undeniable homegrown stars. Who thought Ester Ledecka could challenge defending champion Anna Veith and other top Alpine skiers in super-G Alpine skiing? The Czech skier was ranked 43rd in the World Cup super-G standings when she flew down the course 0.01 seconds faster than Veith on Feb. 16. Even Ledecka was shocked to see herself the winner with a time of 1 minute 21.11 seconds. But her success didn’t stop there. A week later she took a second gold in women’s snowboard parallel giant slalom. With that win, she became the first woman to win gold medals in two different sports at the same Winter Games. Figure skaters don’t qualify for their first Olympics at 28 years old, but that's what Adam Rippon did. After being named an alternate for the 2010 Vancouver Games and missing the cut for 2014 entirely, Rippon became the oldest first-time Olympian on the U.S. figure skating team since 1936 -- and he took advantage. In addition to earning a bronze medal in the figure skating team event, Rippon made history as one of two openly gay Olympians in the U.S. contingent, got into a war of words with Vice President Mike Pence, received praise on Twitter from Britney Spears and was briefly hired by NBC to work on the Games' telecasts before he quit to be with his teammates. That’s a busy two weeks. The gold-medal game in women’s hockey pitted the United States against Canada for the third straight Olympics and the rivalry did not disappoint. For the second straight final, the game went to overtime and with just over a minute to go in the extra frame, Maddie Rooney made a game-saving stop. 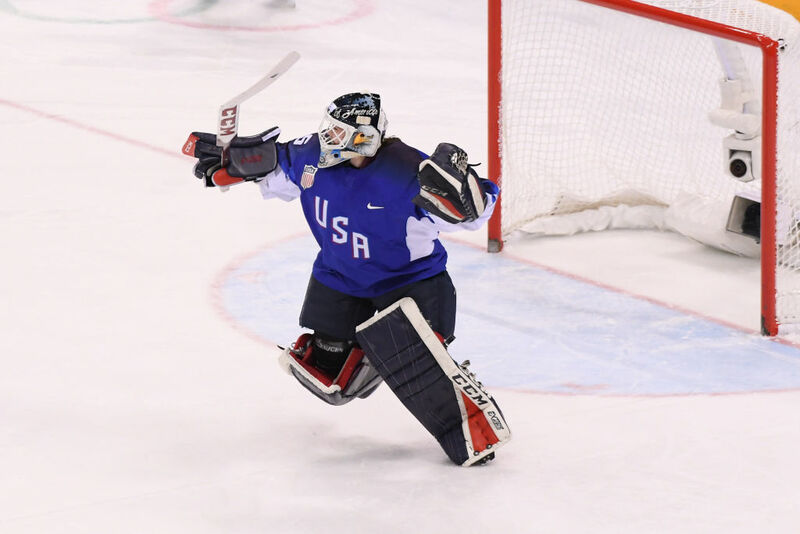 Canada’s Rebecca Johnston found herself looking at an open net with the puck on her stick, but the 20-year-old goalie slid across the crease and deflected the shot wide. Rooney stopped 29 of 31 shots in regulation and overtime. In the ensuing shootout, Jocelyne Lamoureux-Davidson scored the game-winning goal to give the U.S. its first women’s hockey gold since 1998. If your name can be shortened to a hashtag, you could have a viral moment. If your name can be shortened to a hashtag and you win an Olympic medal, that moment could last a little longer. Maia and Alex Shibutani, the #ShibSibs, finished ninth in ice dance at the 2014 Sochi Olympics, but broke out in Pyeongchang. The brother-sister team, who already had a loyal social media following thanks to their vlogs, took home bronze medals in the figure skating team event and ice dance. One of the most unlikely gold medals of the Pyeongchang Olympics went to skip John Shuster and the U.S. men’s curling team. After falling to 2-4 in round robin play, Team USA won five straight games capped by a win in the final over Sweden. 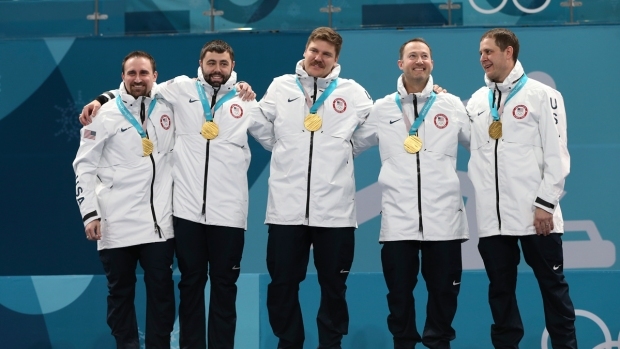 Shuster and his teammates Tyler George, Matt Hamilton and John Landsteiner call themselves the rejects, because they were left out when USA Curling started a high-performance institute following the 2014 Sochi Olympics. Now, the rejects can call themselves Olympic gold medalists. Fifteen-year-old Alina Zagitova edged out the woman who inspired her to become a figure skater to win the first gold medal for the Olympic Athletes from Russia at the Pyeongchang Olympics. She and Evgenia Medvedeva had a rare tie in the free skate but Zagitova had beaten Medvedeva in the short program two days earlier when both women broke the previous world record. Medvedeva had a cracked bone in her right foot earlier this season, allowing Zagitova to become the second-youngest woman, behind American Tara Lipinski, to win the event.